Confession: This recipe was a total snaccident. I was aiming for peanut brittle and I got 4 ingredient peanut butter fudge. And you know what? Not sorry about it. AT ALL! This fudge is kinda incredible. The perfect blend of creamy, smooth peanut butter goodness, with the salty crunch of yummy whole peanuts. 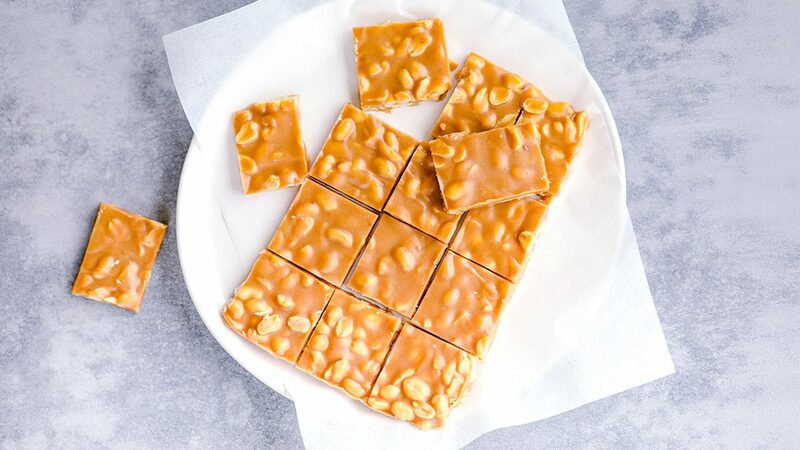 4 ingredients – peanut butter, rice malt syrup, butter and salted peanuts. Nothing more. Nothing less. 1. Stir. 2. Freeze. 3. Watch an episode of [insert favourite Netflix show here] while it sets. Fudge making doesn’t get easier. If you’re thinking about cutting down on refined sugar. Thank me now. 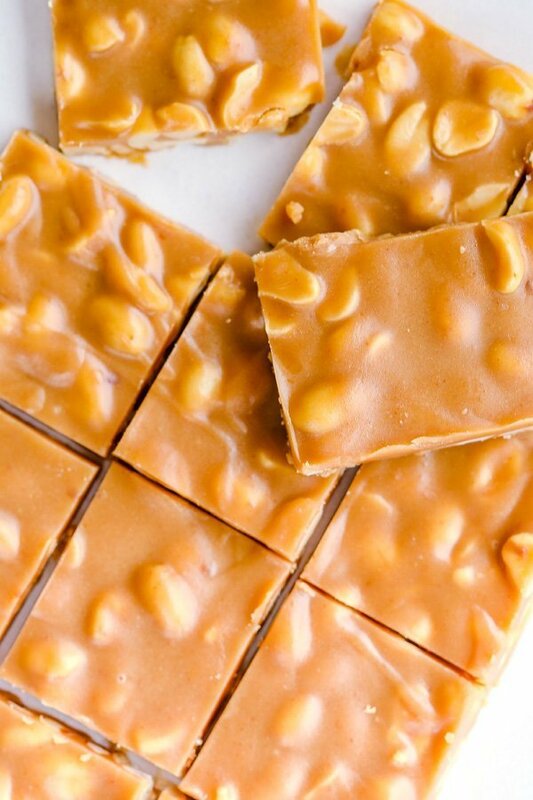 This 4 ingredient peanut butter fudge. Refined.Sugar.Free. It’s also the perfect after dinner treat. One little piece. Oh so satisfying. And I haven’t actually tried this. But I reckon if you topped it with some melted dark chocolate and popped it in the fridge, you would be in complete brain cell blowing territory. 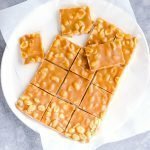 4 ingredient peanut butter fudge. In the running for YTGT recipe of the year and it’s only January. That good. Author: Rani – You Totally Got This. P.S – Now we’ve got your dessert sorted, let’s get your dinner sorted too? Grab your FREE quick and easy weeknight dinner plan right here. How long do you cook it, or to what temperature ? It’s super easy. Just melt the ingredient on the stove top over a medium heat and stir until all the mixture is well combined. Then you pour the mixture into a lined tin and pop it in the freezer for an hour or so to set. It’s kind a no cook recipe. Thanks for stopping by to check out the recipe.